TRISPACE is a piano trio with a modern conception and a changeable attitude that express itself exclusively through an acoustic set. 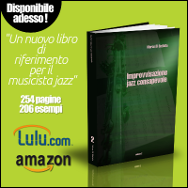 Pianist Yuichi Hayashi, leader and composer of the band, knows how to include and melt inside the music of TRISPACE the sounds of northern Europe jazz producing a musical result personal and captivating that distinguishes itself in Japanese jazz scene. Jazz Convention: Can you briefly tell us about your preceding musical path which led you to your current musical identity? Yuichi Hayashi: I started studying classic piano since the age of 5. When I was 15 I had great interest in rock and pop music and at around 20 years old I started performing jazz. JC: How and when did the TRISPACE project get started? YH: TRISPACE trio started its activity in 2008. Until that moment I mainly had been performing as sideman in other bands. Anyway, at a certain point I felt the need to search for my really own music and decided to form this trio. JC: Which are the musical elements which made up your mind about bassist Morihiro Omura and drummer Yoshitaka Yamashita as the ideal partners for your trio project? YH: Bassist Morihiro Omura has a broad-minded sound which sustains all the band, while drummer Yoshitaka Yamashita always offers a creative and original performance. Both of them manage to give a concrete form to the music I imagined. That's why I wanted them in my band. JC: Until today, you're the only composer of TRISPACE. What's your usual approach to music writing and how did you find inspiration? YH: Sometimes writing music takes time, other times the solution comes up suddenly. Most of the times I draw inspiration from the harmony to write a melody and I always aspire to create something simple and beautiful. JC: And in which part of the creative process do you involve also Omura and Yamashita? YH: When we try to obtain the whole sound of trio, their creative ability succeed in developing ideas that didn't come in my mind before. Drummer Yamashita provides a huge amount of rhythmical ideas which confer original grooves the to overall sound. I think this is the most interesting part of the creative process. JC: Are there any extra-musical sources like cinema, narrative or art which inspire your compositions? YH: Usually I don't take inspiration from other art forms. Rather, it's my everyday life that influences my compositions, but, of course, this is a very private affair. JC: Which are the main differences between debut album TRISPACE (2010) and second album Aria (2012)? Did you introduce new musical elements? YH: From first to second album one year and an half has passed. During this time, the band managed to obtain even more creative performances. More than in the past, we introduced several new elements from other genres. JC: TRISPACE also give great importance to live performances. How your music develops and change in a live context? YH: Live performances allow the musicians to share the same space with the audience. The energy we receive from the spectators can lead the band to unexplored territories. Even if the live set is chancy, we like to get into it actively, taking all the risks. JC: What fascinates you the most playing in a piano trio set? YH: I think trio is a good balanced combination of musicians. When three persons share a strong sense of unity, it's possible to display an endless amount of energy . JC: Which are your favourite piano trios in jazz History? YH: I like many of them, but if I have to choose one in particular, I would say Keith Jarrett trio. JC: Do you think that piano trio set still hides unexplored sides of its expression? YH: If we don't limit our inspiration to the classic styles of jazz and start drawing inspiration from other musical genres, I think there would be many more possibilities for piano trio. 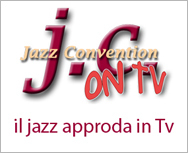 JC: In your music is possible to catch several elements which create a bridge from Japanese jazz to European jazz. How did you discovered it and which are the European musicians you refer to? YH: In Europe there are many wonderful musicians. Among them, Swedish trio E.S.T is the band which had a big influence on my music. Melting together different elements such as the music from their homeland with classical and rock, they managed to create a very original music. That's what I want in my music too. JC: During a trip in Sweden, you also managed to play with Magnus Öström e Dan Berglund, members of trio E.S.T. How did this opportunity come and how did you feel being and playing in the uneasy role of late Esbjörn Svensson? Can you tell us more about this live performance? YH: It was a very big honor for me! In Sweden, after one of their concerts, I had the opportunity to play a session with them and performing some tunes. I was really exciting! After I told them that I had been inspired from E.S.T music and formed a piano trio, they invited me to join them for this session. JC: What's your opinion about current Japanese jazz scene? What is better and what lacks compared to American or European jazz scenes? YH: I don't know very well European and American jazz scene, but I can affirm that in Japan there are many jazz clubs or venues where the musicians are allowed to perform and practice. JC: What's in your future projects? Maybe an European tour? YH: Next spring we scheduled a new recording in Sweden. I'm looking forward to record in Nilento Studio, the same one in which some of my favourites, as Lars Jansson Trio or Avishai Cohen trio, recorded their albums. After that, I hope I can come and play in Europe very soon!